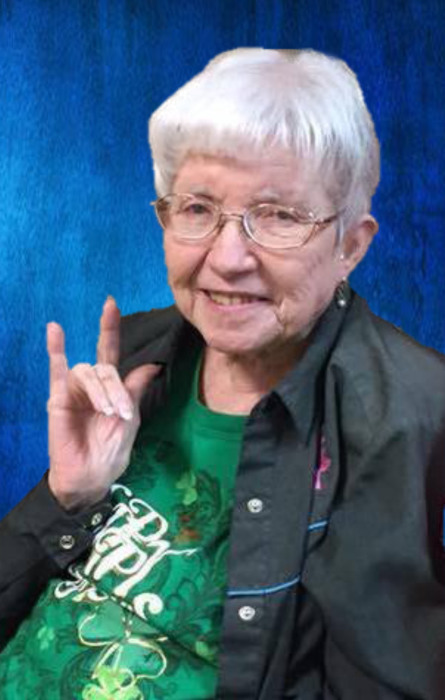 Ruth E. Gravitt, 76, of Moberly, died Thursday, November 29, 2018. She was born October 27, 1942 in Moberly to Leven D “Davie” and Alberta R. “Birdie” (Coffman) Lorton. Survivors include her children; Mary and her husband Marty, Kevin Ames and his wife Becky of Cairo, Lillie Campbell and her husband Tim of Columbia, Sue Hall and her husband Marty of Sturgeon, MO, Rachel Cain and Mark Gravitt both of Moberly, 30 grandchildren, several great-grandchildren, a brother, William Lorton of Moberly, nieces, nephews, other relatives and many many friends, including her deaf friends and her former husband George Gravitt of Moberly. She was preceded in death by her parents and a son Steven Ames. In lieu of flowers memorial contributions to the family would be appreciated. Services honoring and celebrating Ruth’s life were held at the Cater Funeral Home Chapel. Committal prayers and burial followed in the Memorial Park Cemetery.